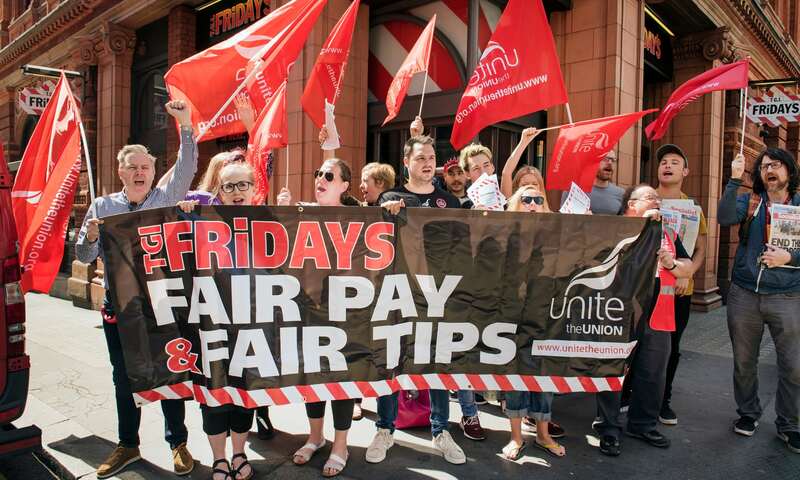 Workers in TGI Fridays were given two days’ notice before they were stripped of 40% of their card tips. For some, this can mean losing up to £250 per month. The reason given was to accommodate the kitchen team’s request of a pay rise by the company. Instead of actually delivering a pay rise and allowing a miniscule dent in multi-million-pound profits, TGIs tried to divide the workforce by attempting to subsidise a small pay rise for some by stealing tips from others. TGI workers rightfully decided this was not good enough and they could no longer stand by and ignore this exploitation that is so rife in the industry. So, workers walked out in London, Manchester and Milton Keynes; with the potential for many more walkouts across the UK. The strikers have received massive support and solidarity from the public and other workers. The attack on living conditions on TGI Friday staff by their employers in an attempt to protect profit is something that is all too relatable for the majority of young workers today. Since 2008, 18-21 year-olds’ wages have been cut by 16% in real terms. Many young people attend university and graduate with tens of thousands of pounds in debt only to discover that the high-paying jobs promised to them don’t actually exist. Instead, all we find in their place is precarious work for low pay. To refer to this type of work as exploitative would be an understatement. A UCL study found that those employed on zero-hour contracts are 50% more likely to develop mental health problems than those with secure work patterns. That is not surprising; how can you be expected to enjoy a meaningful work-life balance when you can’t budget or plan further than the week ahead because you don’t know when, or how long your next shift will be? Not only this, but sexual harassment is rife in precarious workplaces. A Unite survey found that nine out of ten hospitality staff have experienced sexual harassment and 85% have witnessed it happen to someone else. Young and precarious workers across Britain and Ireland are standing up and saying, ‘enough is enough’. Small but successful campaigns, such as the McStrike and the #BetterThanZero initiative, have rebuilt confidence and have proved that, by joining a union and actively organising, we can win. 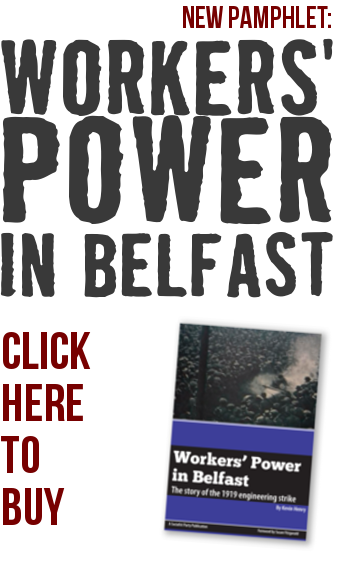 Northern Ireland has not been left behind in this international rise in trade union consciousness. Workers here too, are organising. Following a successful launch of the Unite Hospitality NI campaign, young people from a wide range of workplaces are getting together and planning how they are going to fight for a better life and a better future.